As a practitioner with a focus on helping women, I encounter many women struggling with infertility. 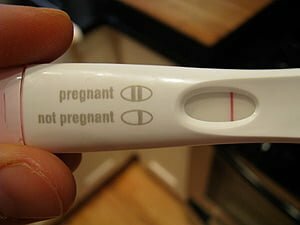 It can be very disheartening to try for a pregnancy that never seems to come. I want to share some very specific tips for eating for health during preconception. I have written about the inability to conceive before on this site, but I’d like to share more about nutrition and preconception. After all, nutrition is the basis of health, and it only makes sense that both parties need to consume a nutrient-rich whole foods diet to provide precursors to healthy hormones. -have I recently stopped taking birth control pills? -do I have irregular menstrual cycles? -am I under a great deal of stress, either physical or emotional or work? -do I have digestive issues like yeast infections, heartburn, constipation/diarrhea, indigestion, or bloating? -do I have a hard time with seasonal allergies? -do I get frequent headaches? -do I have acne or problem skin? Answering yes to any of these questions can signal underlying imbalances in your hormonal, digestive, or detox systems, and imbalances in any of these three systems can contribute to infertility. Now, let’s take a look at diet. -am I vegetarian or vegan? -do I eat soy products or drink soy milk? -do I consume bread, pasta, cereal, or bagels? Foods with white flour or white sugar? -do I consume low fat or fat free dairy? -do I have a past history with eating disorders? with alcoholism? -do I eat a lot of processed foods that come in a box? And yes, this includes the boxed “health food” you get from Whole Foods or the natural foods store. -Am I drinking coffee? Soda? -Do I use canola, vegetable, corn, coy, or soy oils? Do any of these sound like your typical day? -I drag myself out of bed at 7am after 6 hours of sleep and guzzle coffee to get going. -For breakfast I have cereal with skim milk or a pastry. -I have a handful of M&Ms for a mid-morning snack. -I have a “healthy” vegetarian lunch consisting of a spinach salad. -I have more coffee or a soda at 3pm when I’m about to fall asleep at work. -I have a bowl of pasta with 2 glasses of wine for dinner. -I have Hamburger Helper with an iceberg lettuce salad for dinner. If you answered yes to any of these–even just one– let’s have a little chat. Diet is very important to pregnancy, and you should begin thinking about nutrition months before conception. Kick the refined foods: no refined flours, sugars, oils, meats or dairy. What you need is nutrient dense foods that support hormonal and digestive health and will not add excess toxins to the body. -refined fats: dump the ‘vegetable oil’ in the plastic jug that contains canola, soy, corn, cottonseed oils or hydrogenated trans fats. The foods in the above list rob your body of health and fertility. They cause inflammation in the digestive tract, which prevents your body from absorbing the very important nutrients it needs to make hormones and other tissue. They are toxic, and these toxins are stored in fat cells, building up in body tissues and adversely affecting hormonal balance. They lead to too much estrogen and not enough progesterone (estrogen dominance). -tons of organic veggies: leafy greens like kale & chard, crunchy carrots and cucumbers, beets and broccoli, all of it. This fertility diet is for both men and women. Kick the booze and coffee, too, if you are having trouble with conception: both can block fertility. This is a whole foods, organic, unprocessed nutrient dense diet that will boost fertility. Added benefit: you’ll feel great! Also, notice this is NOT a vegetarian or vegan diet. If you are struggling with fertility and are a veg, please try adding nutrient rich bone broths or organic chicken and fish to your diet. Or maybe bacon, the gateway meat! No skipping meals: each meal should contain plenty of veggies; good fats like coconut oil, flax oil, olive oil, or avocado; plenty of eggs (a fertility food! ); and organic meat and wild fish (avoid tuna and the mercury rich fish). Get booster foods like sea veggies, green superfood spirulina blends, and probiotic foods like kraut. There are a few herbs you can add into your routine. I’ll cover that next. Very interesting post, diet and nutrition is most important even for people who are not trying to fall pregnant. This is very sound advice for all to read.